Both cranes will be delivered fully assembled directly from Liebherrs maritime headquarter in Rostock/Germany to Saqr Port at the beginning of 2018. 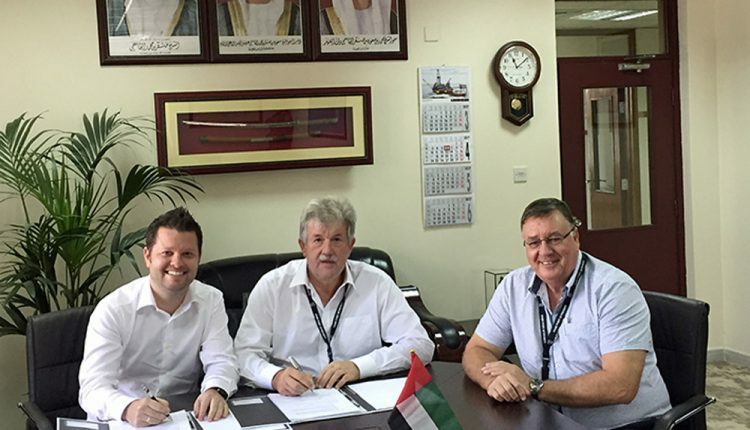 The Saqr Port representatives are already looking forward to welcoming the two new units at their new berth. “These new mobile harbour cranes will helps us to improve our bulk handling efficiency even more. Thanks to its high lifting capacities at a wide outreach, we are able to expand our service portfolio up to Capesize class vessels. This is very important for the future development of our port. We have been operating Liebherr mobile harbour cranes for many years and are very satisfied with the overall performance and the reliability of the machines,” says Capt. Cliff Brand – Group General Manager RAK Ports.